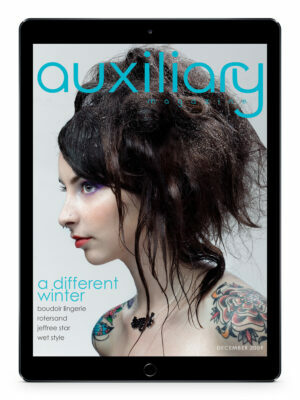 The Fall 2017 Print Edition is a print edition delivered by mail in 1-2 weeks. 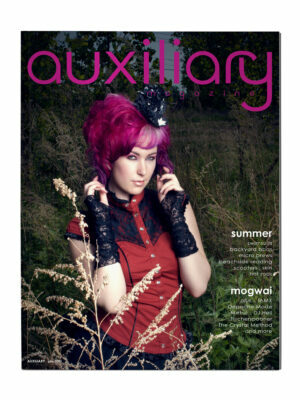 The Fall 2017 Issue is the forty eighth issue of Auxiliary, a magazine dedicated to alternative fashion, music, and lifestyle. 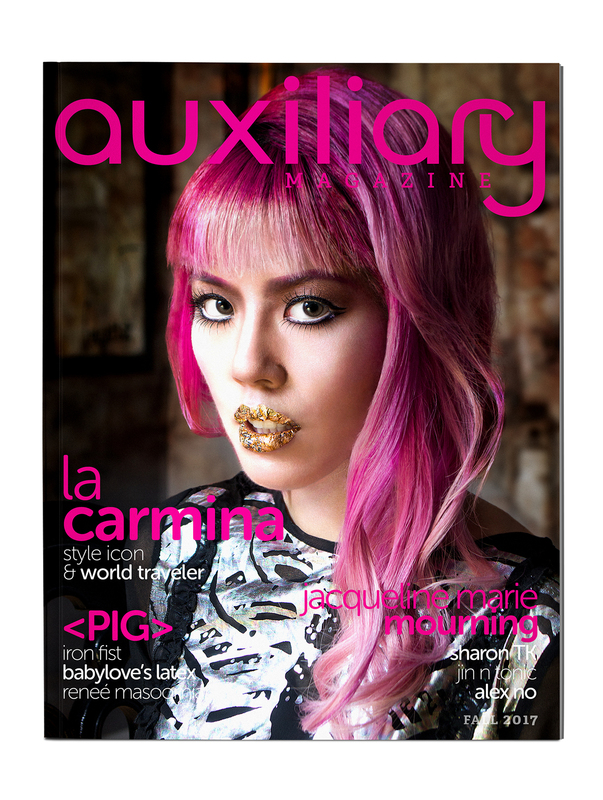 This issue features La Carmina on our cover with an exclusive photoshoot and interview. 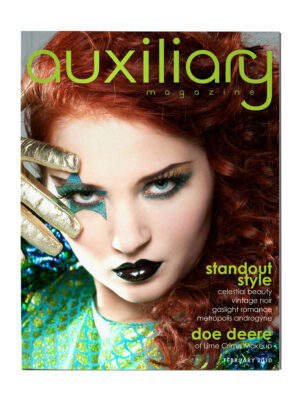 It features an interview with Raymond Watts of <PIG>, Jacqueline Marie Mourning as our PinUp, Sharon TK, Jin N Tonic, Alex No, many fashion and beauty editorials, a Saturated Autumn Beauty Picks feature, and a Runway to Vanity feature on glitz and vampy 1920s eyes. It also features fashions and products by Iron Fist, BabyLove’s Latex by Reneé Masoomian, Alex No Design, Anastasia Beverly Hills, Chanel, Cozzette, Kat Von D, MAC Cosmetics, Make Up For Ever, NYX Cosmetics, Sojourn, Topshop, and more. 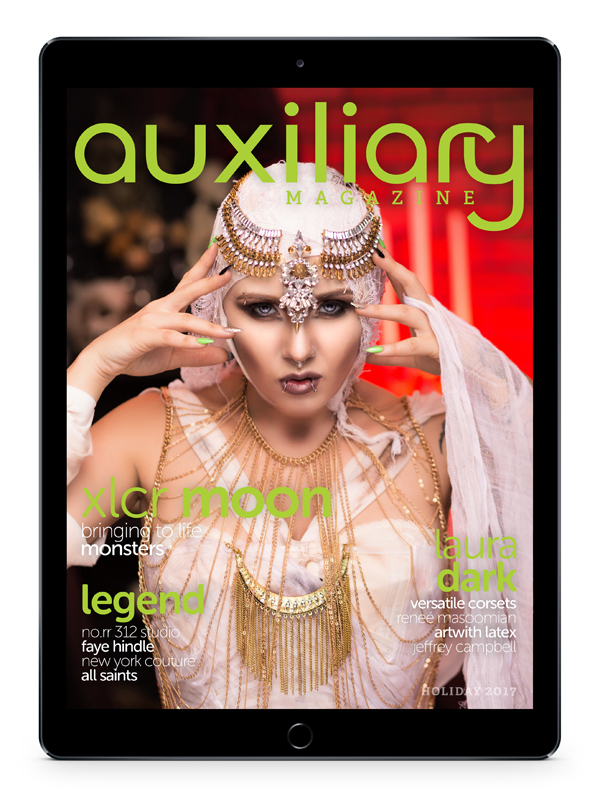 Plus photography by Patrick Parenteau, Saryn Christina, Gail Kilker, Raisa Kanareva, and Lush Light Photography, media reviews, music reviews, and more!